Air-conditioners are a must-have in a tropical climate or countries where the weather can be unmercifully hot. In Singapore, especially during certain parts of the year, the air-conditioner keeps us out of the haze by cleaning the air via a filter. 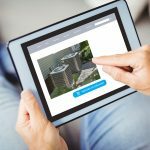 Buying an air-conditioner is a huge investment, so it’s important to know what you’re paying for. The numerous models available in the market can be confusing, but we break it down into 10 things that you should know before putting down a deposit. 1) Multi-split system: cools 2 to 9 rooms with only one outdoor unit, but allows individual control in each room. 2) Refrigerant (or gas): the working fluid for air-conditioners. R22 or R410A is usually used but R22 is being gradually phased out due to the Montreal Protocol, which seeks to end production of HCFCs (hydrochlorofluorocarbons). R410A is more energy-efficient and environment friendly in comparison. 3) System (2, 3, 4, or 5): number of indoor units to 1 outdoor unit. The System 1 (1 indoor unit to 1 outdoor unit) is also known as a single split. 4) Insulation: the material used to cover the copper pipe, usually rubber foam, which helps to absorb water droplets formed due to condensation on the copper pipes when the air-conditioner is operating. 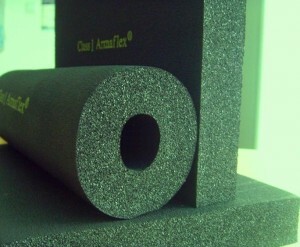 There are generally 2 types of insulation: Class 0 and Class 1. An inferior quality will result in a higher condensation rate and cause leakages. ⅜ inches is usually recommended for the piping in trunking (plastic casing that encases the copper pipes, PVC drainage pipes and wiring) while ½ inches is preferred for piping that will be hidden by false ceilings or concealed in walls or high humidity area. 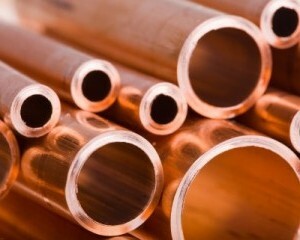 5) Grade (or gauge): thickness of the copper pipe, generally a thicker copper pipe is able to withstand a higher operating pressure. The grade varies from the lowest SWG (standard working gauge) or G25 (0.51mm) to G21 (thickest). For HDB owners, the G23 (0.61mm) is usually recommended. If you have concealed piping, then G22 (0.71mm) is a better option. Another thing you should take note is the bending of the copper piping. To lower the odds of condensation or poor refrigerant flow (which will make the air-conditioner less cold), make sure that the piping is bent with a proper pipe bender (thus ensuring a pipe bent of about 90 degrees). 7) Electrical Loading: If you live in an old HDB block that was completed before 1 January 1994, you’ll need to apply for a HDB permit in order to install new 15-amp power points or 20-amp isolator for air-conditioners. This is because they haven’t been provided with a higher electrical loading, unlike the newly completed flats or flats that had undergone the Main Upgrading Programme (MUP)/Home Improvement Programme (HIP). 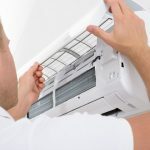 At the end of the day, it’s your responsibility to ensure that your air-conditioner’s running current doesn’t exceed the current limit of your flat. Not sure about your block’s electrical loading? Then visit the HDB website or call them on their toll-free line at 1800 225 5432. 8) Installation: Your installer should be a BCA-certified technician to ensue a proper installation according to HDB and BCA guidelines. You can check their certificate or go here to verify. 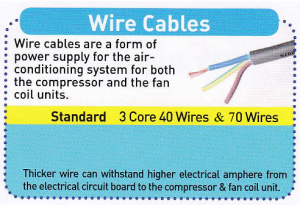 9) Wiring: 3 types are usually used to connect the air-conditioner to its power source as well as connect the indoor units to the outdoor one: 4C40 (4 wire cords, each with 40 copper stands), 3C70 (3 wire cords, each with 70 copper stands) and 3C40 (3 wire cords, each with 40 copper strands). The better grade will, of course, be the 4C40 and 3C70 ones. Avoid wiring that was manufactured in China. Singapore Famous Brand Cable Brand: Keystone, Sigma & Taisin. 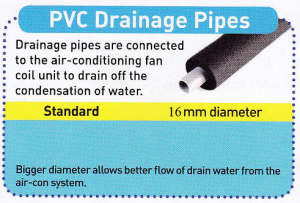 10) PVC drainage pipe: Installers generally use one of 2 sizes available in the market: 13mm and 16mm (referring to the pipe’s internal diameter). 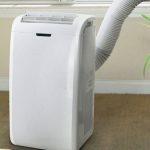 Using a bigger size will mean that the air-conditioner is able to drain water faster and slow down the possibility of leakage.